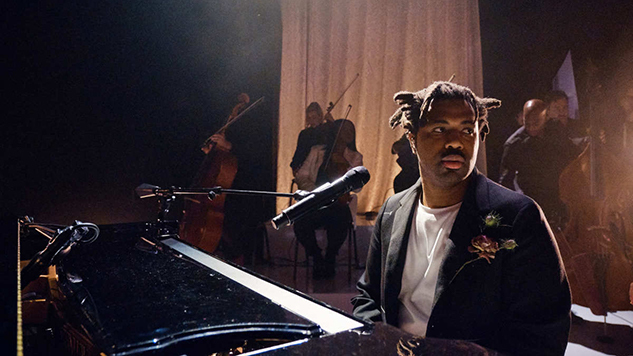 Sampha appeared on The Late Late Show with James Corden on Thursday night to perform his Beautiful Boy cut “Treasure.” The singer was joined by Kamasi Washington, Robert Glasper, serpentwithfeet and Kelsey Lu. “Treasure” appears on the soundtrack to Beautiful Boy, the movie based on the dual memoirs of journalist David Sheff and his son Nic, who battles addiction. The performance brings to life the song’s messages of enduring love and familial brinkmanship that diseases like addiction cause. Watch Sampha’s Late Late Show performance of “Treasure” below.